Are you torn between the big ball gown and something more flirty and fun? Why not say ‘yes’ to two dresses? It’s becoming more and more commonplace for brides to ditch the big gown and change into a party dress after they walk down the aisle. They want to be free to dance, make the rounds and party at the reception — can you blame them? If you’re planning to pull a quick change, don’t be afraid to think outside the bridal box. Opt for something beaded or sparkly, a fun color, or a completely different design like a jumpsuit. Your groom and guests will love the drama. One tip: Don’t change too early. 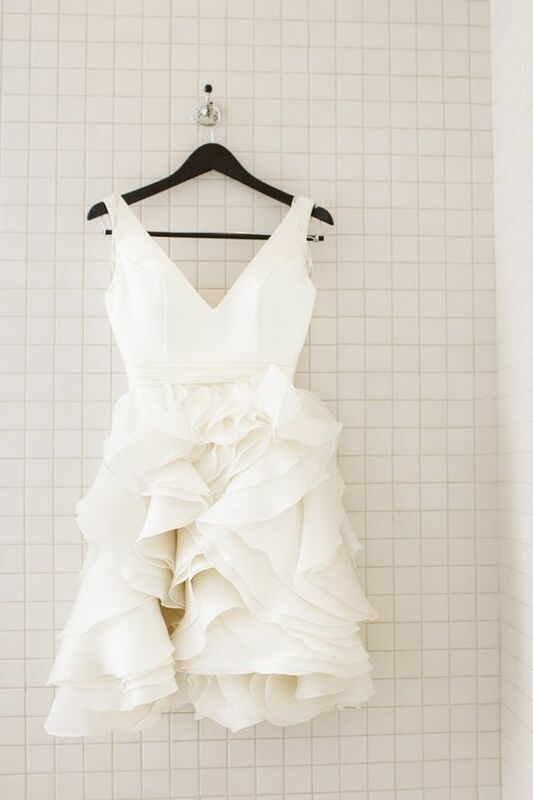 Make sure to capture photographs in your main dress. There will be plenty of snapshots of you dancing the night away in dress number two.